On the hundredth anniversary of President Reagan’s birth, I recall when I had the opportunity to see the man who would one day be recognized as one of America’s greatest presidents. The year was 1986 and President Reagan had just cruised to a landslide 49 state re-election victory over Walter Mondale. I was a freshman trombone player in the Hart County High School Bulldog Marching Band. President Reagan was coming to Atlanta to campaign for Georgia’s Republican junior senator, Mack Mattingly, and the Bulldog Band was asked to perform. In those days, the Democratic Party was still a viable force in Georgia. In fact, most local elections in my home town did not even feature a Republican candidate. The majority of these elections were settled in the Democratic primary with the general election being a mere formality. On top of that, President Reagan had vanquished Georgia native (and the only president from Georgia) Jimmy Carter in 1980. President Reagan was not popular with all of my classmates. The campaign meeting was a large political pep rally at the Omni. The band played from our repertoire of patriotic songs, although aside from the Star Spangled Banner I can’t say that I remember exactly what. At some point, both President Reagan and Senator Mattingly spoke. My fifteen-year-old brain, though interested in history and politics even then, was simply not programmed to pay attention to political speeches. The only memory that I have of what President Reagan said that day was a joke that he told. The joke involved a minor auto accident. The police were called and, while they waited, the drivers began to talk. No one was injured, but both were somewhat shaken. One pulled a bottle from his car and offered it to the other to soothe his nerves. The second driver took a swig. They talked a bit longer and the first driver offered the bottle again. The second driver took another swig. When the police arrived and asked what happened, the first driver replied, “It wasn’t my fault. This fellow’s been drinking!” The Gipper told it better than I do. Unfortunately, in 1986 Georgia returned to its Democratic roots. Mack Mattingly, who had gone to Washington in the 1980 conservative victories that sent Jimmy Carter back to Plains, lost to Democrat Wyche Fowler. 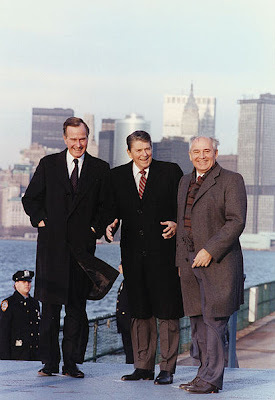 Mattingly went on to become President Reagan’s Assistant Secretary-General for Defense Support for NATO in Belgium at a time when the possibility of a Soviet invasion of Western Europe was still a very real possibility. He also served as President George Herbert Walker Bush’s ambassador to the Seychelles. The meeting with Reagan was my most direct meeting with the executive branch, but it wasn’t the last. In 1992, I overflew a meeting in Athens featuring Al Gore. I was in a vintage 1946 Piper J-3 Cub and Gore was holding a rally for Democratic candidate Bill Clinton on a downtown street. In those days before the TSA and Homeland Security, there were no restrictions on overflying political meetings. If someone tried that today, they would probably be arrested if they weren’t shot down. In 2002, I was at Emory Hospital in Atlanta where my brother-in-law was receiving a kidney transplant from his father. By chance, on the same day, President George W. Bush was coming to Emory to deliver a speech. I didn’t see Dubya, but I did see his limousine from an upper story window as it pulled into the hospital. The only connection that I have with President Obama is that I was flying through Washington-Dulles airport a few days before his inauguration in 2009. At the time, the general aviation ramp was packed with business jets and the general aviation terminal was equally crowded, not only with flight crews and passengers, but with vendors selling Obama souvenirs. Many of Obama’s supporters have since disappeared and the ramps at Dulles are usually almost empty of aircraft. This may be partly due to the Obama Administration’s attacks on corporate aircraft, but perhaps it is also symptomatic of the economy in general. It was years after my encounter with President Reagan that I truly began to appreciate his greatness. The book The Great Inflation described how President Reagan and Federal Reserve Chairman Paul Volcker eradicated stagflation that had plagued the nation throughout the 1970s in a few short years. I was too young to remember the ravages of inflation first hand, but the high unemployment and stagnant growth of the 1970s are similar to the economic woes we face today. The economic doldrums of the 1970s also have the same cause as today’s economic problems: government attempts to control and manipulate the economy. President Reagan’s conviction that low tax rates and simplified regulation would lead to prosperity led to the one of the longest sustained periods of economic growth in American history. Where the 1970s were a decade of “malaise,” the 1980s became a decade of optimism, wealth, technological innovation, and, of course, ‘80s music. The economy was not the only area in which President Reagan changed the course of history. The 1970s had been a decade overshadowed by Vietnam and America’s abandonment of its ally. America was viewed as weak by its adversaries around the world. Arab nations punished the US for standing by Israel by launching an oil embargo and raising the price of oil to the unheard of price of $11 per barrel on other nations. I do remember sitting in long lines to get gas. The communists were on the march in Afghanistan, Asia, Africa, and Central America. In Iran, a revolution deposed the Shah and installed the Ayatollah Khomeini while the American embassy staff was held hostage. President Reagan changed much of that. President Reagan made it cool to love America again. Much of the change in attitude came from the Gipper’s pervasive optimism and humor. Much of it was also due to the fact that he backed up his words with action. President Reagan revitalized the American military and freed one country, Grenada, from communism with direct action by American soldiers. American aid and advisors went to other countries such as Nicaragua, the Philippines, Honduras, El Salvador, Guatemala and Afghanistan. The American struggle against Islamic terrorism was just starting and President Reagan fought back. In 1983, a suicide bomber killed 241 US Marine peacekeepers in Beirut, Lebanon. In 1986, President Reagan ordered an airstrike on Muammar Gaddafi’s Libya in retaliation for support of terrorists. Terrorist bombings, kidnappings, and hijackings were commonplace. Americans were targeted, but not on US soil. The hallmark foreign policy triumph of President Reagan’s tenure was the fall of the Soviet Union. The US military buildup, including the experimental Strategic Defense Initiative (also known as “Star Wars”), was something that the Russians could not keep up with. In particular, SDI forced the Soviets to come to the negotiating table. The Berlin Wall fell in 1988 and the Soviet Union officially ceased to exist in 1991. Both were after Reagan left office, but he was one of the prime architects of the victory, along with British Prime Minister Margaret Thatcher and Pope John Paul II. Just a few years earlier, in Jimmy Carter’s presidency, Soviet communism had seemed unstoppable. In the twenty-two years since he left office, Reagan’s mystique has even reached the Democrats. President Obama is on record as admiring President Reagan. However, Obama’s admiration of Reagan does not extend to his policies. Obama’s policies have more closely mirrored FDR’s disastrous New Deal or Jimmy Carter’s foreign policy blunders. Rapidly expanding government, high unemployment, rising inflation, national despondency, and a failure to push an international freedom agenda make 2011 look eerily like 1979. 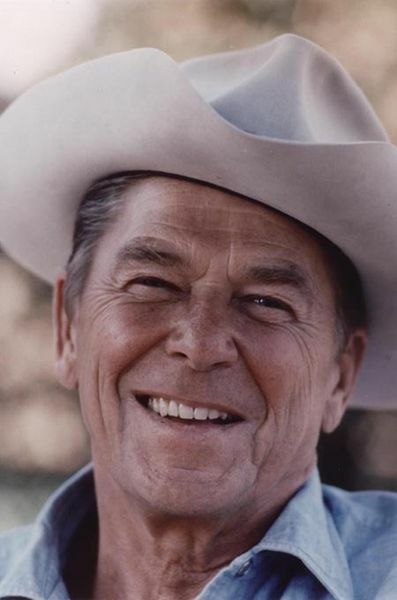 Reagan’s policies of economic and political freedom work as well in the twenty-first century as they did in the twentieth (or the nineteenth for that matter). In 1980, Georgia voted for Jimmy Carter. 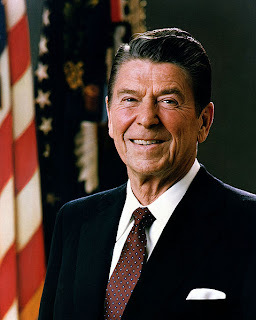 In 1984, Georgia corrected that mistake by voting, along with every other state except Minnesota, to send President Reagan back to Washington for four more years. We can hope that history repeats itself once again and that the nation unites behind a strong conservative leader who will reverse the growth of government at home and confront tyrants abroad.